Cooper loves helping others catch fish! Join us Behind the Fin with 13-year-old Cooper Hyland, JR Fishing Guide and TU Member. I have been a Trout Unlimited member for about 2 years now. I became a TU member because I met the manager of our local chapter, Greg Hardy, when I was fishing and he said it was a good way to help our fish so that they could be big and strong for all fisherman. My favorite project that I have done with TU is the group fly tying session it was very cool to have so many people to learn from and so many secret flies. Do you have a favorite place to fish or fun fishing story? My favorite fishing story is when I was teaching a kid to fish and he was getting very discouraged because he could not get any fish and the last 5 minutes we were trolling with a Rapala and a huge brown trout ate it. When we got the monster on he was on a heavy rod and he almost broke it. As we got it into the boat the fish was in the net and before we get it into the boat he spun his head and snapped the hook and got away. We had no picture of the fish. I felt so bad that we did not catch the fish, But a couple months later the mom of the kid called me to thank me for introducing him to the sport she says that he has become a self-made fisherman and is now fishing at least 1 time per week. Being a TU member means a lot, but to me but I think that what it means to me the most is that I can sleep knowing that we are keeping our waterways safe and clean for future fisherman. What other hobbies or activities do you like to do? Some of my other hobbies include rocketry, engineering, electronics, and math. Join us "Behind the Fin" with Josh Anaya, Secretary, Frostbite Fishoff Chair, Communications, and Webmaster for the Southern Greenbacks Trout Unlimited Chapter. I've been a member for almost two years. My first meeting was our chapter's election meeting, and we still had a couple of board positions open -- one of them being chairman of our annual fundraiser, the Frostbite Fish-Off. I thought it sounded fun and interesting, and I had some similar previous experience in cyberspace, and figured I'd try it out "in real life". By the end of the year, I also absorbed the positions of Secretary, and Communications/Web Guy. Curiosity, mostly. In January 2017, I joined both Trout Unlimited, and Fly Fishers International. A friend at one of my local fly shops suggested I check out TU, and see if it was something I'd be interested in. 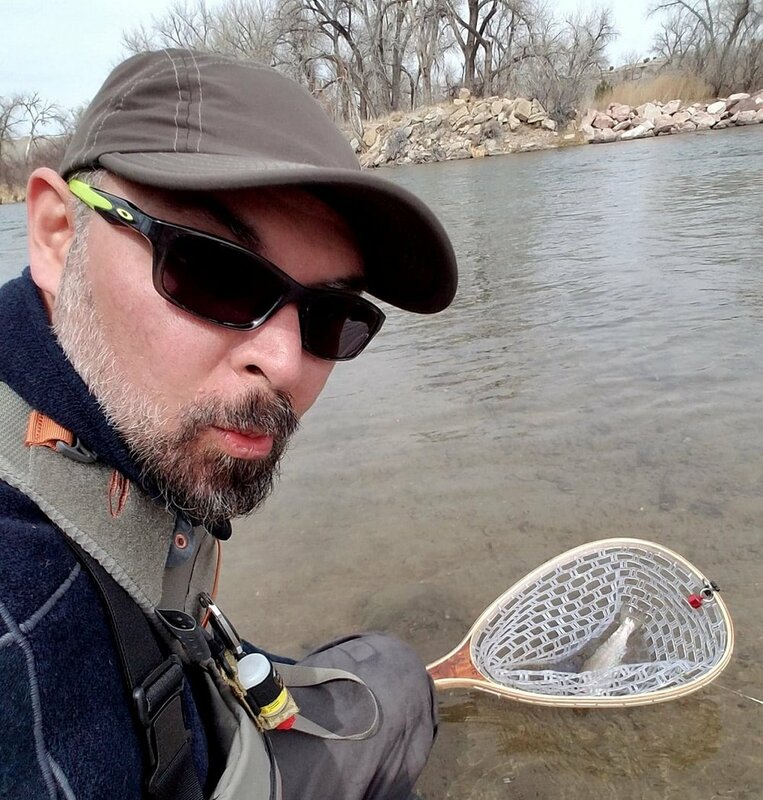 I was (and still am) pretty new to fly fishing, and it seemed like a great way to immerse myself in the community, and accelerate the learning process. Our chapter is the Southern Colorado Greenbacks, Chapter 509. We have members from Custer, Fremont, and Pueblo Counties. Again, curiosity, but I also have some legitimate concerns over the future of the Stream Protection Rule under the current administration, and where the planet in general is headed environmentally. I thought I'd see what TU was all about, and see what I could contribute to the organization. I'd have to say it was the Frostbite Fish-Off -- our chapter's annual fundraiser. This year we had fifteen teams of two anglers each competing for some great prizes, with a party and raffle afterward. All in all, we had about seventy people involved. I've signed on to be the chairman of the event for at least another year, but I'm also working on getting a Trout in the Classroom project going at my son's middle school for the 2018-2019 school year. Our chapter also has a lot of cross-pollination with our local Fly Fishers International chapter (shout out to the Pueblo Tailwater Renegades! 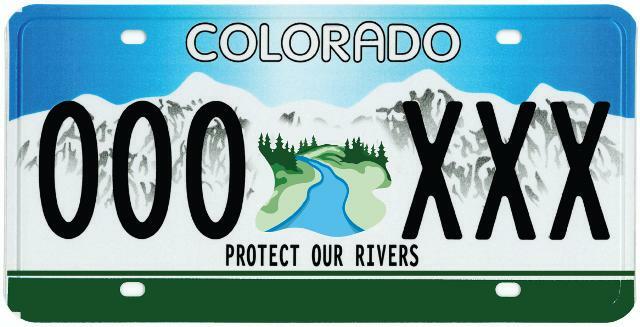 ), and we've had river cleanups, and planted willows along the Arkansas River with Colorado Parks and Wildlife. The Renegades also host a Thursday evening "Bluegill Bash" at the ponds next to the Arkansas Tailwater, and that's been pretty fun, too. I know you won’t tell me your top spot, so what is your second favorite fishing spot or favorite fishing story? My second favorite fishing spot would be pretty much anywhere in the World of Warcraft. I've been playing on and off for about twelve years now -- mostly to keep in touch with friends (big /cheer to my friends in the Bloodbath & Beyond guild). I haven't had the time to do all the cool end-game stuff for quite a few years, but every once in a while I'll log in, play for a night or two, and sneak in some fishing. That's actually where I got my start fishing -- I've always been a video gamer, and have played online games for about 20 years, and many of the bigger online games have fishing systems built into them. Two years ago, though, I had fished all there was to fish in Warcraft, and I was looking at about four months before the newest version would be out. I'd always see people fishing along the Arkansas whenever I'd ride that route, and one day I thought, "A lot of my gamer buddies like fishing in real life. I'mma learn2fish." I found a class at one of my local fly shops that was actually happening that weekend, and I jumped right in. After only a year or so, I'm still defining what I want that to be. I'll help with TU's mission where I can, and when I can. I'd like to be more active at the State level, but I'm still figuring out what kind of impact I can have at the local level, especially with working with local businesses and government entities. I wouldn't exactly call myself an awesome angler...yet. Professionally, though, I'm a software developer, but I have a lot of other things going on the side. My evenings are usually spent playing games with my kids, or helping them with their homework. Once everybody's asleep, I'm usually working on some art project or another, whether it's digital like 3d modeling, or something more traditional like painting and sculpting. I picked up fish carving after this year's Western Rendezvous after I stumbled across Bill Rottman's artwork in a shop, and then met him a month later at the Annual Woodcarving & Woodworking Show in Colorado Springs, hosted by the Pikes Peak Whittlers. I'm also working on a couple independent video game projects. I tie, too! The shop I learned to fly fish at -- The Drift Fly Shop in Pueblo -- has classes on tying, and I jumped into that, too. I love the art, and I was just awarded my bronze level award in fly tying from Fly Fishers International. Next on my project list are to complete the silver and gold levels of the award. Cold Water 1: If it's good for the fish, then it's good for the beer. Pictured: A glass of Cold Water 1, right from the tap. It's a lightly hopped pilsner with tones of mountain sage and wild currant (where the deep red color comes from). Odell Brewing in Fort Collins has become a valued friend of Trout Unlimited and the Rocky Mountain Flycasters Chapter. They recognize the benefit their business derives from low cost, high quality water. Equally important, many of their patrons enjoy and recreate on the rivers and streams that we are so committed to protecting or improving. They have been generous supporters of our work, and we both have come to realize that ‘If it’s good for fish, it’s good for beer’! Recently, we received an invite to come into the brewery and craft a beer in honor of TU and specifically, the launch of the long-awaited Poudre Headwaters Greenback Restoration Project. On May 30th, members of Rocky Mountain Flycasters and US Forest Service met at Odell Brewing to craft a new beer to celebrate both the Poudre Headwaters Project and TU. While many of us involved in crafting the beer enjoy the post-production product, none of us were well-schooled in the details of making beer. Marni Wahlquist, a head pilot brewer at Odell Brewing, guided us through every step of the approximate six-hour brewing process. Our first decision was to decide on type and flavor profile of the beer. Following discussion, we settled on a lightly hopped pilsner with tones of mountain sage and wild currant. The two-row barley used in the pilsner paid homage to the agricultural community from which the project has evolved. In keeping with a high mountain stream theme, we settled on a name for the beer – Cold Water 1. The name refers to a grading system used by State agencies to describe aquatic habitat. Fast forward to July 1st. A warm, sunny day. Perfect weather for the Cold Water 1 release party at Odell Brewing. While the party was scheduled for 1pm, I was determined to be at Odell when they opened to insure a chance at the first draw of our newly crafted beer. While not a beer aficionado, I find it to be refreshing, lightly hopped, a bit fruity but not overpowering, with a hint of sage on the nose after swallow. Cold and fresh! Just like beer should be. Just like streams should be.It is a beer that reminds us all – If it’s good for fish, it’s good for beer. Check out Odell Brewing Co. and you can try the new beer at the location in Fort Collins. "One great way to take the pulse of your local river is by monitoring stream temperatures. Inexpensive data loggers offer the opportunity to record water temperatures every hour for several years, providing easy access to important information on seasonal patterns, short-term trends, and the impacts of restoration projects or other activities in a watershed. TU’s Science Team has spent the past few months test driving a new data logger for monitoring stream temperatures. We’re happy to report that the new loggers work very well and should make monitoring your local stream even easier. The new loggers — the Onset TidbiT MX series — are the latest iteration of the reliable Tidbit product line. We are recommending the Tidbit MX2203, which cost just over $100 each. The new model includes several features that will prove very useful for long-term stream temperature monitoring—they have a four-year battery life under normal conditions and a replaceable battery; they can be launched and their data downloaded using a Bluetooth connection and the free Onset HOBOmobile app; and they have a ‘water detect’ feature that can be used for monitoring stream drying and patterns of intermittency. For more information about the loggers, including basic instructions on calibrating, setting up, and launching loggers, as well as details on how to receive a discount Onset is kindly offering TU volunteers, check out the newly updated Version 3 of TU’s Stream Temperature Monitoring handbook. The handbook contains some basic guidance on "Why," "Where," and "When" to monitor and is a great starting place for chapters thinking about stream temperature monitoring. Additional resources are available on TU’s stream temperature monitoring resources webpage." The Leo Gomolchak Conservation Grants Program, named for Leo Gomolchak, a longtime CTU staffer and volunteer who worked tirelessly to promote wild and native trout restoration in Colorado helps benefit conservation efforts and organizational development at the chapter level by providing seed money which can be used as a starting point in financing grassroots conservation and/or education activities. This year at the 2018 Western Regional Rendezvous on Sunday, April 29, Keystone, CO, six projects across Colorado were awarded each $1300. Below are those recipients and their corresponding projects. Congratulations! Boulder Flycasters: Trout in the Classroom and Watershed Education. The chapter, in collaboration with Lefthand and Fourmile Watershed groups, will establish four new Trout in the Classroom locations as part of a broader watershed education program to engage Boulder County students in watershed education and conservation. The Greenbacks: Rock Creek / Black Canyon native trout. The Greenbacks are part of a multi-agency partnership to restore native greenback cutthroat trout in Rock Creek and its tributary Black Canyon (located in the upper Tarryall drainage). These funds will be part of the matching resources for construction of the final permanent barrier at the bottom of the total project. The Greenbacks will be holding a fall 2018 fundraiser with 100% of proceeds going toward this project, as additional matching resources for this grant. Gunnison Angling Society: Adopt-a-Trout 2.0. Building on the well-received adopt-a-trout program conducted with Colorado Parks and Wildlife and Gunnison area students on Tomichi Creek, this project will involve area students in a similar monitoring effort to assess fish migration among Tomichi, Cochetopa and Quartz Creeks. Southern Colorado Greenbacks: Trout in the Classroom. The Southern Colorado Greenbacks will help launch a new Trout in the Classroom site with a Pueblo-area middle school, where the partner teacher would use the program to engage her students with hands-on learning about nature including the understanding of water quality. The chapter will match Gomolchak Grant funds with proceeds raised through their Frostbite Fishoff. St. Vrain Anglers: Trout in the Classroom. The St Vrain Anglers are will be bringing Trout in the Classroom to a Lyons elementary school. The Gomolchak Grant will help cover the initial capital costs for equipment, with the chapter than providing annual support to cover site operating costs as a match on this grant. West Denver: RiverWatch. The West Denver Chapter is tackling a water quality monitoring project with RiverWatch on three sites along Clear Creek, including not just basic water chemistry but also macroinvertebrate sampling. One of the sampling events would be conducted in partnership with a Forest Service kids day education event on the Forest. Contact David if you have any questions (dnickum@tu.org, or 303-440-2937 x1).